We’d love your help. Let us know what’s wrong with this preview of Saving Saffron Sweeting by Pauline Wiles. 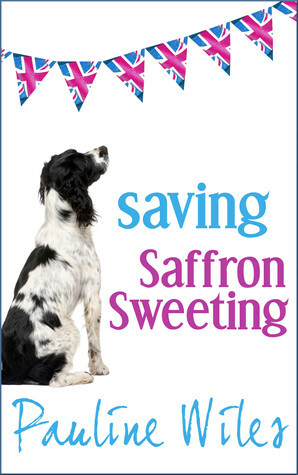 To ask other readers questions about Saving Saffron Sweeting, please sign up. Story rating ~ 4.5 Stars! Wonderful debut book! After realizing that her husband cheated on her and not willing to hear anything he has to say, Grace packs her bags, leaves California on the spur of the moment, and heads back home to England to sort out her life. Not sure what she’s going to do, and knowing she can’t stay with her brother and sister-in-law forever, she decides to settle in Saffron Sweeting, a small town that is on the verge of financial collapse. While it’s close to a large American company and that should bring people to the town to shop, they choose to go to the larger cities for their needs. Grace starts to offer the town's shop owners advice on how to lure the Americans to their shops. I loved this story! Without even realizing what she’s doing Grace lends the shop owners her expertise on what Americans are looking for in a foreign country. While many of the Americans are all but willing to embrace a new culture and small town life, they miss some of the creature comforts of home and find themselves heading to the larger towns to shop. Being that Grace lived in the states for many years she is able to bring new life to this small town through her suggestions on how make the shops more appealing to the transplants. She's so kind and sweet, a very endearing and charming character, easy to relate too. She's also a dog lover, and she won me over when she befriends what she thinks is a stray. Not only do the Americans appreciate the small changes, the locals enjoy them too. Once they understand that the town is suffering the American residents rally around the town they now call home. The American residents unite with the locals, and use their brains and resources for a town that has a hold on their hearts. This whole sense of community is something that I enjoy in a read and it was at the core of this story. The author did a great job connecting the reader to the residents and their plight, I just couldn't help but root for them. There are some characters that I would love to go back and re-visit with and wonder if they have a story to tell. While she's unconsciously saving Saffron Sweeting, Grace is also finding herself. She looks at her past and what she left behind and realizes that she might be able to save more than a town. She meets someone else while she's in Saffron Sweeting, and while their relationship is sweet and sexually charged, there is something missing. Grace needs to decide whether she will start over with someone new, or if her marriage to James is worth saving. I’m not a fan of cheating storylines, but this one worked for me in a big way. The focus of the plot was mostly on Grace and her journey, and how moving to Saffron Sweeting brought purpose to her life and gave her the time to contemplate on how to move forward. Ultimately she needed to dig deep and see if her marriage was worth salvaging. The author put a lot of thought into the ending, and while I was somewhat surprised where it was going, in the end it felt right! Sometimes you have to hit rock bottom to find your way back to the top! Narration rating ~ 3 Stars! While Lesley Parkin was able to bring a distinguishable voice to each of the characters, the narration was without emotion and almost too refined for this read, most particularly for Grace’s voice, she came off as stuffy when she was anything but. There were so many fun moments that could have had more zing had the narration been more animated and not quite so rigid. So, is it better to listen or to read the written word? I’m going to have to go with reading the written word. While the narration wasn’t horrible, it lacked the emotion and spirit that this story was trying to illustrate. The fun was missing and with a wonderful cast of quirky characters at her disposal, Lesley Parkin didn’t embrace their personalities as much I would have liked. Saffron Sweeting, is an amazing debut book. The fact that I’m not a fan of the cheating storyline, but liked this story, speaks volumes about the author’s writing and storytelling! But, don’t listen…read it instead! The story begins with Grace Palmer, a down-on-her-luck interior designer, she's a Brit living in San Francisco with her husband James. Before you can say "Keep Calm and Carry On", Grace finds out James cheated on her with her - only - client, confronts him, packs up her bags and goes back to England. My initial reaction was "Wait a sec, let the man talk! Don't be hasty!" but as soon as Grace arrives in England I thought "James Who?". The way Pauline describes her home-coming is like an insider re The story begins with Grace Palmer, a down-on-her-luck interior designer, she's a Brit living in San Francisco with her husband James. Before you can say "Keep Calm and Carry On", Grace finds out James cheated on her with her - only - client, confronts him, packs up her bags and goes back to England. My initial reaction was "Wait a sec, let the man talk! Don't be hasty!" but as soon as Grace arrives in England I thought "James Who?". The way Pauline describes her home-coming is like an insider re-discovering her roots. The narrative is so detailed and intimate that I felt like I was experiencing things, like the chaos of Heathrow, as an every day occurrence. Grace decides to live in the country for awhile and by chance ends up in a small town called Saffron Sweeting - I Googled it, the town doesn't exist, darn - nevertheless, this place will turn out to be exactly what she needed! She begins to form a life, get a place to live and work, meet new friends and she finds her niche. Turns out, the town is full of extremely homesick American ex-pats and Grace is the bridge between the Americans who want to spend $$ and the English who wouldn't mind the ££ to keep their business afloat and thriving. Here is where I get conflicting emotions, as an ardent anglophile I want her to stay in England, describe more of her life and sigh while I imagine myself there. As a romantic, I get worried she is being too hard on James and I feel for him, during the course of the story he keeps popping up. He's very sorry and truly wants her back, my heart breaks for him and I get concerned because Grace is trying to move on and actually begins dating! Pauline Wiles is on tour now with CLP Blog Tours and Saving Saffron Sweeting. I thought this was such a good book! Our main character is Grace Palmer who is living the American Dream…or at least was. A Brit living in the US with her dashing husband, Grace is running her own design business and trodding along quite happily – until she realizes her one and only client is sleeping with her husband. Unable to stomach the betrayal Grace flees back to her homeland, and somehow lands in the clutches of Pauline Wiles is on tour now with CLP Blog Tours and Saving Saffron Sweeting. I thought this was such a good book! Our main character is Grace Palmer who is living the American Dream…or at least was. A Brit living in the US with her dashing husband, Grace is running her own design business and trodding along quite happily – until she realizes her one and only client is sleeping with her husband. Unable to stomach the betrayal Grace flees back to her homeland, and somehow lands in the clutches of the quaint village of Saffron Sweeting. She manages to land a job that she thoroughly enjoys and even catches the eye of a handsome man while she adjusts to her new life. But with her husband incessantly apologizing and the loneliness settling in, Grace wonders how long her new arrangement will last. When she realizes the town could desperately use her assistance, she focuses her energy towards Saving Saffron Sweeting – and herself in the process. I really enjoyed this novel because Grace is such a fabulous leading lady. She gets hurt and takes off, but she always has that air of independence which I love, a “you can’t bring me down” spirit about her. I never worried much about her because I knew that whatever got thrown her way she would handle and handle well. It was so fun watching her settle into Saffron Sweeting and even better to read about her finding her passion. It was interesting to read about her love interest, and I never quite knew how her love life was going to end because her husband was not giving up on her. This novel offered a lot of perspectives on marriages and commitment, and was a great addition to an already terrific read. One I recommend! Grace was trying to get her business going in the States, but when her husband cheated with her client, it was time to go home to England. Once there, she looked for a small village to hide and recuperate for awhile, and Saffron Sweeting fit the bill. But before she knew it, she had adjusted to small-town life. Now she is trying to balance a new relationship with saving her new home. An awesome debut from Pauline Wiles, this light, contemporary fiction novel explores the difference between the Br Grace was trying to get her business going in the States, but when her husband cheated with her client, it was time to go home to England. Once there, she looked for a small village to hide and recuperate for awhile, and Saffron Sweeting fit the bill. But before she knew it, she had adjusted to small-town life. Now she is trying to balance a new relationship with saving her new home. An awesome debut from Pauline Wiles, this light, contemporary fiction novel explores the difference between the British and Americans. First, Grace is the newcomer while living in San Francisco, and then she has to readjust when she returns to England. In Saffron Sweeting, they are being overrun by Americans who have transferred with their company. The villagers feel their way of life is being threatened by the horde of loud Americans, who in turn want to fit in but do not know how. At the same time, the novel also explores marriage, love, and the aftermath of betrayal. At the beginning of the novel, I could imagine Grace's pain when she didn't know how to tell people what had happened, and only wanted to be alone to deal with the hurt. It was a joy to follow along as she began to heal and get on with her life. This novel is just full of wonderful characters who seem as real as my own neighbors. Life in Saffron Sweeting was so clearly described that I could see it as clearly as if I had been there. I must admit that the ending was not as I had hoped. I can't say more than that without a spoiler, so I'll let it go, but it's not a bad ending. It just isn't the resolution I expected. Still, this is a fantastic first novel, and would be perfect reading by the pool or at the beach this summer. I received this book in exchange for an honest review. All opinions expressed are my own. Oh, my. Definitely one of my favorite books as I read my way through 52 books in 52 weeks. This book was so stinking charming, I was completely swept away by it. No wonder the book has climbed to the quarter finals in the romance category of the 2013 Amazon Breakthrough Novel Award. (More information: amazon.com/abna) I loved every single moment. The characters were charming, their lives were charming, the town of Saffron Sweeting was charming. It was so charming, I wanted to climb into the page Oh, my. Definitely one of my favorite books as I read my way through 52 books in 52 weeks. This book was so stinking charming, I was completely swept away by it. No wonder the book has climbed to the quarter finals in the romance category of the 2013 Amazon Breakthrough Novel Award. (More information: amazon.com/abna) I loved every single moment. The characters were charming, their lives were charming, the town of Saffron Sweeting was charming. It was so charming, I wanted to climb into the pages as I read and live among the characters. I wanted to walk into Grace Palmer's English cottage, "put the kettle on" and sit with her and tell her everything will be okay. The richness of the book reminded me a lot of Under the Tuscan Sun by Frances Mayes and the books by Peter Mayle set in Provence. If you love books set in a quirky little town with villagers that stake their claims on the story and a main character that struggles with internal conflict while falling in love with the beautiful but flawed surroundings of a town she haphazardly found her way to, then this is the book for you. Grace Palmer certainly received a punch in the stomach (not literally) in the opening pages when she learns of her husband's affair. But she picks herself up, dusts herself off, and returns to her home country of England only to find herself in the turmoil of changing times in the town of Saffron Sweeting. The people Grace meets in the town of Saffron Sweeting are all so wonderful as characters in a book. Each play a different role in Grace's life and each bring different elements to the storyline. What is so captivating about the story of this town is the mingling of two cultures. An American bio-tech firm is relocating American workers to Saffron Sweeting and the villagers who have always called Saffron Sweeting home are trying to adapt. Because Grace Palmer is the only person in town with insights into both cultures, she is quickly placed in the heart of the small town and must play the role of assistant, consultant and guide. I finished reading this book while on a weekend trip to Boston. I told everyone I saw on this trip about the book, even the passengers sitting on the plane beside me, imploring them to pick up a copy and start reading. It was that enjoyable, from cover to cover. Highly recommended. Run, don't walk. Or better yet, click. A link to Amazon is provided below so go get yourself a copy and cancel your plans for whatever it was you were planning to do over the next few days. You'll want to snuggle up with this book, a cup of tea, a cozy blanket and a comfortable chair. Don't worry, the world will wait for your return. Grace Palmer is living the American Dream, the young Brit has a fledgling interior design business that she is building in Silicon Valley, California. But her dreams are shattered when her husband James sleeps with her client. Humiliated and heartbroken, Grace flees back to her homeland where she starts her life anew in the quaint little English village of Saffron Sweeting. While Grace gets settled in her new surroundings, the community of Saffron Sweeting is fighting their own battles against t Grace Palmer is living the American Dream, the young Brit has a fledgling interior design business that she is building in Silicon Valley, California. But her dreams are shattered when her husband James sleeps with her client. Humiliated and heartbroken, Grace flees back to her homeland where she starts her life anew in the quaint little English village of Saffron Sweeting. While Grace gets settled in her new surroundings, the community of Saffron Sweeting is fighting their own battles against the greed of developers who want to change its tranquility and destroy the village's landmarks. Grace is encouraged to become active in the village community and help them adapt to the changes coming to Saffron Sweeting. Grace embarks on a journey of self-discovery that will guide her to live a new life, find her passion, and have a second chance at love. In her debut novel, Saving Saffron Sweeting, author Pauline Wiles weaves a delightful tale written in the first person narrative of one woman's journey of self-discovery while helping a community save its quaint village from greedy developers. The reader is transported between Silicon Valley, California and the village of Saffron Sweeting in Great Britain, where they follow Grace Palmer as she picks up the pieces of her life and forms a strong bond with the community of Saffron Sweeting as they navigate the changes to their village. This entertaining story has a nice mixture of humor, charm, sass and romance. The author provides her readers with a story full of witty British phrases and mouth watering treats that makes you want to visit the village of Saffron Sweeting. Grace's story draws the reader in as she starts her life over with a sassy sense of humor and independence that is admirable. I loved the portrayal of life in the quaint English village setting, and its quirky inhabitants are colorful and provided a lot of laugh-out-loud moments. Saving Saffron Sweeting is a lighthearted, witty, fun and thoroughly enjoyable romantic comedy that will leave a smile on your face. When she finds out that her husband has cheated on her, Grace leaves him and their life in the States to return home to England. She starts the process of recovery by settling in the quiet village of Saffron Sweeting, and becomes an unwitting catalyst in the regeneration of the village, helping local businesses to reach out to new clients and reviving the village’s heart. Will she be able to revive her own? The book gets off to a great start with the moment of Grace’s realisation of her husband’s When she finds out that her husband has cheated on her, Grace leaves him and their life in the States to return home to England. She starts the process of recovery by settling in the quiet village of Saffron Sweeting, and becomes an unwitting catalyst in the regeneration of the village, helping local businesses to reach out to new clients and reviving the village’s heart. Will she be able to revive her own? The book gets off to a great start with the moment of Grace’s realisation of her husband’s infidelity, and from the get-go you want to know how things are going to play out. However, although the will they/won’t they get back together question drew me in, I didn’t wholeheartedly warm to Grace herself. I think this originated in her decision to escape to England without allowing her husband to explain the circumstances of his huge betrayal of their marriage and without letting him know where she is living. It works brilliantly for the plot but not for my ability to relate to her. In fact in a scene where she meets her husband in London for a few hours it was her husband who my heart went out to and not her. Saffron Sweeting contains a wonderful assortment of characters. I could picture them all. The way the author describes how Grace tumbles by chance into helping the village, and the way in which her unofficial role as champion of the village develops, is a joy to read. The book is also full of mouth-watering descriptions of the heaps of delicious English food that Grace takes such delight in. The writing is smooth, the tone light and warm, making this very easy to read. I may be wrong here, but as a Brit I sense this book is written primarily for an American audience. That doesn’t take anything away from the book, but I do think that you’ll experience a different read depending on which side of the Atlantic you live on. Wherever you are from, there’s so much to enjoy in this charming comedy. From the moment you start reading Pauline Wiles’ first novel you can’t shake the impression that she is a genuinely lovely person. Reading someone’s work might not be the best way to get to know them, but it certainly leaves a lasting impression and Saving Saffron Sweeting makes you wish you were friends with the protagonist, Grace from the outset. The story focuses on this young woman as she reaches a climax in her life. Discovering her husband has cheated on her, she leaves her home and busine From the moment you start reading Pauline Wiles’ first novel you can’t shake the impression that she is a genuinely lovely person. Reading someone’s work might not be the best way to get to know them, but it certainly leaves a lasting impression and Saving Saffron Sweeting makes you wish you were friends with the protagonist, Grace from the outset. The story focuses on this young woman as she reaches a climax in her life. Discovering her husband has cheated on her, she leaves her home and business in favour of the familiar British countryside. The story epitomises everything we love about England, from tea and cakes to grumpy Post Masters. This book has come at the perfect time as summer is finally making an appearance and you can settle down with a pitcher of Pimms and read it from cover to cover. I’d recommend it for anyone struggling in a relationship, recovering from a breakup or simply wondering what love really is. It is the story of a woman knocked off her feet, who learns to appreciate her own skills and the value of a loving community to propel her through the bad times. We could all learn a lot from Grace’s journey. I don't know. Maybe 2.5 would have been more accurate. I liked the writing and Grace was ok as a main character as well as the residents of Saffron Sweeting. BUT. I didn't quite get the story. It started, it ended, but the things in the middle? Was it supposed to be just a romance story (view spoiler)[with a HEA-ending (hide spoiler)]? Or was there supposed to be an actual story too? There were a lot of things happening, but nothing was quite finalized. - Amelie had a drinking problem? Based on I don't know. Maybe 2.5 would have been more accurate. - Amelie had a drinking problem? Based on what? - DID they save the Saffron sweeting? - Why on earth would a whole village change their British ways to be nicer to Americans? If I move abroad I'm not expect everything to be as it is in my homeland..
- Was Grace really the only woman from Britain ever to visit USA? Seems like that since only she has all the answers about American likings and dislikes? The sounds of click, click, click fell into place as Grace Palmer realized her husband was having an affair. Not only has he been with sleeping with someone else, it's her friend and client. Deciding she is not ready to talk it out and make decisions, she flees to the little village of Saffron Sweeting. Grace finds herself making friends, helping others save their businesses and reassessing what is truly important in her life. I thought this was a unique story, when we meet Grace she is married a The sounds of click, click, click fell into place as Grace Palmer realized her husband was having an affair. Not only has he been with sleeping with someone else, it's her friend and client. Deciding she is not ready to talk it out and make decisions, she flees to the little village of Saffron Sweeting. Grace finds herself making friends, helping others save their businesses and reassessing what is truly important in her life. I received a copy of Saving Saffron Sweeting by Pauline Wiles in exchange for an honest review. This was a really cute story about Grace and the challenges she faces when she discovers her husband James is cheating on her. I really liked Grace and she was someone I could relate to on so many levels. Her whole world is rocked by James’ infidelity and unable to deal with it, she runs away to a small English town to figure out what to do next. 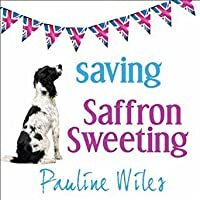 She finds herself in Saffron Sweeting and meets some very I received a copy of Saving Saffron Sweeting by Pauline Wiles in exchange for an honest review. She finds herself in Saffron Sweeting and meets some very interesting characters, some of whom become good friends and a good support system. But during her struggles she finds what is important and realizes that sometimes not everything there are some grey areas in life that you have to work through. Cleverly written, witty and humorous. I loved the flow of the novel. I'm all for strong female characters and Grace certainly falls into that category. When she discovers her husband is sleeping with the only person keeping her design business afloat she decides to head back to the place she once called home. The descriptiveness of this cutesy little town and all the people in it are a big part of what makes the story great! Love, betrayal, romance, balancing your hopes and dreams and a lot of l Cleverly written, witty and humorous. I loved the flow of the novel. I'm all for strong female characters and Grace certainly falls into that category. When she discovers her husband is sleeping with the only person keeping her design business afloat she decides to head back to the place she once called home. The descriptiveness of this cutesy little town and all the people in it are a big part of what makes the story great! Love, betrayal, romance, balancing your hopes and dreams and a lot of laughing out loud is what you'll get with this book! I had great hopes for this one! And I made it about 68% of the way through before I just couldn't take it anymore. Not only did Grace, the main character, quickly become unrelatable, the infidelity in the book seriously bothered me. Perhaps if I had stuck it out and finished, it would have shaped up better, but I really do believe that life is too short to waste on bad books! "Saving Saffron Sweeting" is such a charming and lovely book. I adored the mix of American and British vernacular, and you can't help but fall in love with Grace, her friends and her new town. This is such a polished and excellent read, and I can't wait for more from Pauline Wiles. Loved this book! I was easily able to connect with Grace and her charm. It was definitely fun to read about all the quirky characters in Saffron Sweeting. This book made me want to travel to England so much more! A definite must read. Back in March I reviewed "Sweet Pursuits" by this author and really liked it. I wanted to read more by Pauline and my wish came true! Well that was one super cute book! Can one woman (heartbroken, angry, and just looking to get away form her current situation) single-handedly save a whole town? Well... yes they can, and she did - one business at a time. I love Saffron Sweeting! I want to go there! What a great town. The more I read about this quaint English town the more I fall in love w 4.5 Stars! I love Saffron Sweeting! I want to go there! What a great town. The more I read about this quaint English town the more I fall in love with it and its people. "Saffron Sweeting. Well, that’s an excellent omen,’ she declared. One thing I find amusing about Jem is her belief in omens, horoscopes and reading tea leaves. ‘It is?’ I yawned back, starting to arrange pillows on the sofa. ‘Grace, it’s perfect! It’s a village named after sugar. Definitely give it a try. After all,’ she beamed at me, ‘how bad can it be?" Great character development. I loved Grace and all her new friends in Saffron Sweeting. I loved the way Grace helped the small businesses with American customs and holidays to get them into their stores etc. It made me wonder if other countries really do this, target American visitors. So now that I have read book 1 and book 3 - I think I need to read book 2, don't you think? Reading this book is like curling up with a soft, luxurious cashmere blanket. Grace, the main character in this quiet and calm story, seeks comfort in just such a beautiful blanket when her life hits a perilous crossroads. Does an affair mean the end of the road? Grace moved with her husband to the Silicon Valley area, for his career. When Grace discovers her husband had a fling, her first thought is to bolt back to her home country, England. Her plan is to take time to sort out her feelings. “We Reading this book is like curling up with a soft, luxurious cashmere blanket. Grace, the main character in this quiet and calm story, seeks comfort in just such a beautiful blanket when her life hits a perilous crossroads. Does an affair mean the end of the road? She retreats to a charming town near Cambridge, Saffron Sweeting. There she meets a wonderful assortment of townsfolk, as well as newly transplanted Americans. She begins to find herself as she develops an interesting job that fully uses her talents. She also meets an intriguing gentleman. Should she reconcile with her husband? Grace is a likable character and her new friend and boss in Saffron Sweeting, Amelia, is a scene-stealer. I wouldn’t have handled things the way Grace did, but I enjoyed reading about her. The author presents a balanced view of British and American life and culture. If you are an Anglophile, this is the book for you. 3.5 stars. Sometimes I find some really nice jewels among the dross in Kindle Unlimited. This was great--I enjoyed it thoroughly. Going to go find more by this author. KU doesn't have the hugest selection, but the subscription model frees me to be a more adventurous in trying new-to-me and/or unreviewed authors. With KU, I feel no compunction in trying something, reading a few pages, then dumping it if not to my taste. On the flip side, it makes me happy when I randomly come across something (lik 3.5 stars. Sometimes I find some really nice jewels among the dross in Kindle Unlimited. This was great--I enjoyed it thoroughly. Going to go find more by this author. What a wonderful sweet listen! Sometimes you a little distance to get clarity of who you are, what is important and help find your way back to each other. Friends, family, love, loss, figuring out who you are, what you are capable of and finding you way back to a new beginning, new life and new home. Wonderful narration of the audio version. In the same vein as Bridget Jones and quite satisfying for the incurable romantics. The title has to do with a city, not a spice, and it is a charming one at that. I especially love the protagonist’s decorating tips for all of the shabby businesses that need a boost in tourism. Who doesn’t love a great makeover? The dowdy girl wins, and so does the town. Light read but I really enjoyed it and looked forward to picking it up before bed for a few nights. I liked the end, don't want to give it away and the way the main character changed all the people in the village for the better. Really enjoyed this book, it was a nice easy read for a summers day in the garden. Looking forward to getting started on another of Pauline’s books next. Grace tries to help a small town in England preserve its character and figure out what to do with her love life and career. I really enjoyed this book. I especially liked the ending of the story. I appreciate that it could have been rated PG 13 and not R.
About moving forward. Wiles is rather too good at comic one liners that don't fit her characters, but some made me chuckle. The story is a fun read, nonetheless, and I recommend it for the beach or that long flight where you want something light and entertaining. British by birth, Pauline is now a contented resident of California, although she admits to occasional yearnings for afternoon tea and historic homes. Her debut novel, Saving Saffron Sweeting, reached the quarter final of the Amazon Breakthrough Novel Award and was a number one Kindle Best Seller. The stand-alone prequel, Secrets in the Sky, was reviewed by Publishers Weekly as ‘an enticing read’. British by birth, Pauline is now a contented resident of California, although she admits to occasional yearnings for afternoon tea and historic homes.